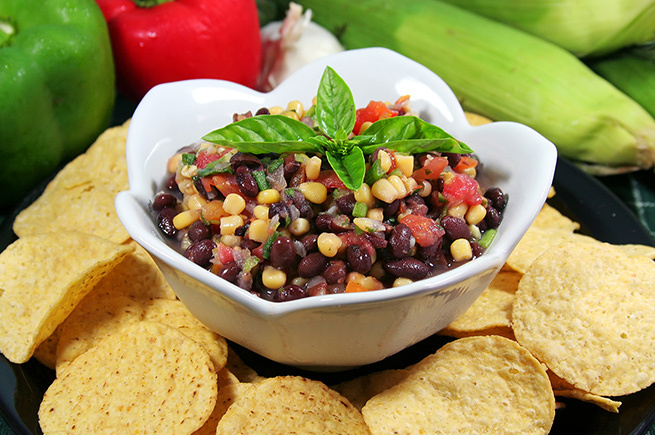 In large bowl, combine beans, corn, cilantro, green onions, red onions, peppers, lime juice, oil and cumin. Season with salt and pepper to taste. Cover and chill at least 2 hours or overnight. Just before serving, stir in tomatoes. Serve with blue and white tortilla chips. Makes 4-6 cups.